We offer CD duplication of audio and data and provide DVD duplication and DVD replication for video or data. Try our Instant Quote System for itemised CD Duplication and DVD replication package deals within the UK. We use the latest CD printers and copying equipment to give a fast turnaround service at affordable prices. 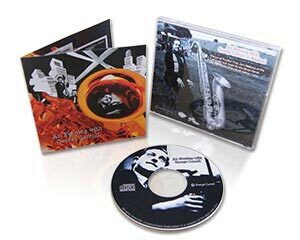 Our graphic designers specialise in cd and dvd replication packages and can create your artwork from scratch or convert it to the correct format before going to print. Once you place your order and we receive your CD or DVD for duplication, we will prepare and send you a sample for approval prior to manufacture.